Turns out that just about everyone (including President Obama) has been hugely underestimating the methane pollution levels of so-called “clean gas.” The booming American economy now seems to come at a greater cost than we originally thought when we found out that natural gas produces only half as much carbon as coal. A couple of years ago, natural gas produced through expensive hydraulic fracturing (“fracking”) sounded like a great way to clear the air and forestall climate change, eh? Not really. Scientists have recently found that drilling-produced methane (up to 80 times more powerful than carbon dioxide over time) creates an even thicker blanket in the atmosphere than the equivalent amount of carbon dioxide. In simple terms, it basically creates a tighter greenhouse. 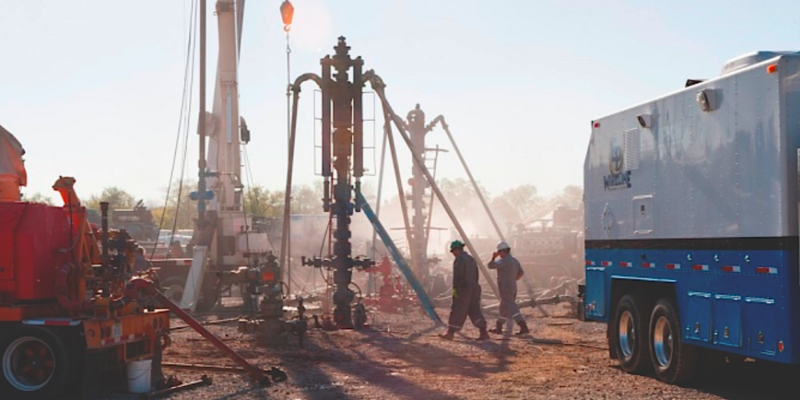 On Monday night, the cable TV series “Years of Living Dangerously” ripped the covers off the idea that the methane produced from fracking wells is inconsequential. America Ferrera (TV’s “Ugly Betty”) spoke about a new study—just published in the Proceedings of the National Academy of Sciences—that looked into drilling operations at several wells in southwestern Pennsylvania. The researchers found that these wells released methane into the atmosphere at rates that were hundreds of times greater than estimates made by EPA regulators. In the documentary, Mark Boling, senior vice president of Southwestern Energy (the fifth largest natural gas producer in the United States), admits that the gas industry’s numbers, backed by the Environmental Protection Agency, that show methane leakage at around one percent of the “clean gas” yield do not match the scientific measurements—especially in the Los Angeles Basin, where one study found levels of about 17%. Three years ago, Ingraffea and coauthors Howarth and Santoro estimated that the methane emission rate was not 1%, as producers and EPA generally agreed, but between 3.6 and 7.9% of production, thought by those in the profession to be worse than coal from a climate perspective. Since the initial study three years ago, every single peer-reviewed report from other scientists has measured methane emission rates within or above the 2011 estimate range. In another interview, Gaby Petron, a top government scientist at the National Oceanic and Atmospheric Administration, confirmed what Ingraffea was saying. Ferrara also interviewed David Crane, CEO of NRG, America’s second largest energy generator. She was surprised when Crane told her he’s trying to move away from oil and coal and as quickly as possible. In Texas, his company is already one of the biggest providers of wind power. Ferrara also interviewed a rancher whose herd had to be sold off because of the drought. The rancher had also put in a wind farm. “Wind is my best cash crop in a drought because wind blows even during a drought.” Sam Brownback, the conservative Republican governor of Kansas, is right behind him. Brownback sees wind as providing jobs for rural Kansas as well as truly clean energy. Taylor is currently lobbying to repeal renewable energy laws all over the country. He’s working with a quiet, powerful, and very well-funded group called the American Legislative Exchange Council (ALEC). ALEC’s members from the fossil fuel industry have conferred at meetings with literally thousands of state legislators, mostly Republicans, to draft climate change denialist bills and then pressure their states into passing them. In Kansas, they were recently only one vote away from success. Sure hope somebody calls his bluff, for all our sakes.